Violinist Alan Choo’s playing has been described by The Straits Times Singapore as “an intoxicating brew of poetry and dare-devilry”. His wide range of repertoire encompasses celebrated masterworks for the violin as well as Baroque and contemporary compositions. He has appeared as a soloist with orchestras such as the St. Petersburg Symphony Orchestra, Singapore Symphony Orchestra, Singapore Festival Orchestra, Singapore Chinese Orchestra and Baltimore Baroque Band. He was the recipient of the Paul Abisheganaden Grant for Artistic Excellence 2015, the Goh Soon Tioe Centenary Award 2014, the Grace Clagett Ranney Prize in Chamber Music 2014, and 1st prize in the National Piano and Violin Competition 2011, Artist Category. In 2015, he spearheaded the new music initiative “SG Inspirations” with pianist Lin Hengyue, which culminated in the release of a CD album of all works by Singaporean composers. As an early music specialist Alan has toured with Tempesta di Mare, Philadelphia’s Baroque Orchestra, and received a grant from Early Music America to perform at the Boston Early Music Festival 2015. He also plays the renaissance violin and was invited to tour the Dominican Republic at the Conciertos de la Villa de Santo Domingo Festival 2016 with the Peabody Renaissance Ensemble. He received the Excellence in Early Music Award from Peabody Conservatory in 2016. 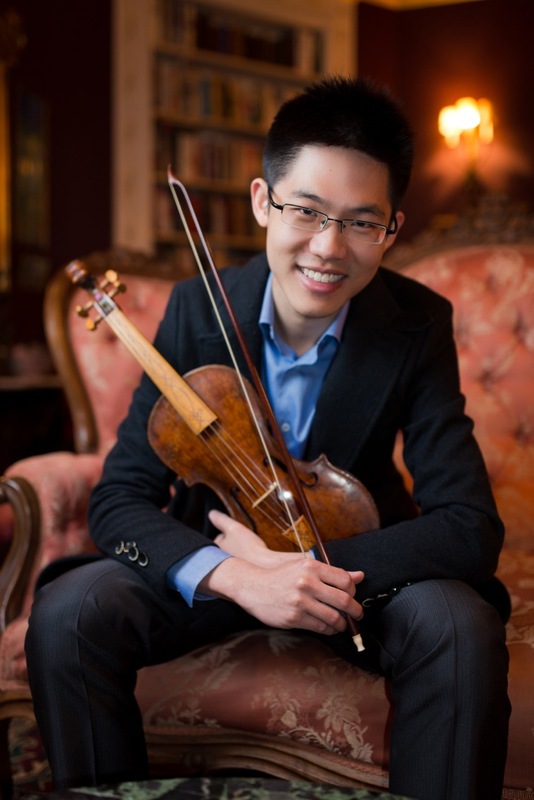 Alan was admitted to the Yong Siew Toh Conservatory of Music at the age of 15, where he completed his undergraduate studies with Alexander Souptel. He subsequently earned two Master’s degrees in Violin Performance and Early Music at Peabody Conservatory under the guidance of Victor Danchenko and Risa Browder respectively. He is currently pursuing a Doctor of Musical Arts degree in Historical Performance Practice at Case Western Reserve University under the tutelage of Julie Andrijeski.